An unexpected gravel or a rock hitting your car and even temperature fluctuations can cause damage to the windshield. Most often your windshield will develop a minor chip or crack. Even if the chip appears too small to you, it is advisable that you get it repaired at the earliest. Because it is just a matter of time before the small inconspicuous cracks could turn into a bigger and more expensive issue if you leave it unattended. If you are worried about the cost aspect, you would be glad to know that windshield repair is not so expensive and is also covered by insurance. However, there are some facts and procedures that you need to be aware of. In case, the cracks and chips are minor and the repair experts advise for a windshield repair, you need not worry about payments at all if you have a comprehensive insurance cover.You will not even have to pay the deductible, so it is absolutely free of charge for you. And, when you are dealing with reputed windshield repair company such as National Auto Glass, you don’t even have to care about handling claims. Our trained and efficient reps will take care of it all for you. If the cracks in your windshield have widened and experts recommend windshield replacement, you would be pleased to know that your comprehensive car insurance cover will bear the cost of the replacement too. The point that you should take note of is that your insurance company will ask you to pay for the deductibles. Hence, it is highly advisable that you should not ignore or procrastinate windshield repair, else you would be required to go for an expensive replacement.Some insurance companies offer disappearing deductible feature which could mean your deductible may be lower or may be zero if you had the policy for long. You may feel that it is completely okay to file for windshield replacement/ repair without worrying about the cost aspect of it. 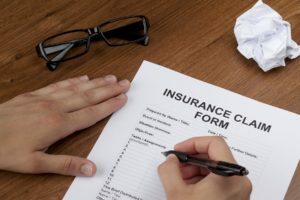 The thing to take care of it is that if you claim for the insurance the first time, it will not have any impact on the insurance policy premium. But in the case you make too many insurance claims in a short span, you are likely to face an insurance premium hike when your policy comes for renewal. So, it is advisable that you file your claims judiciously. Bring your vehicle to us or request for our mobile windshield repair service so that we can come to you. Show us your insurance certificate. If you have signed up for comprehensive insurance, there is nothing you need to pay for windshield repair. So, we will take care of both – taking care of your windshield and handling insurance claims procedure. We offer same day service, so your car would be good to go within hours of your call. At National Auto Glass, our expert technicians will carefully analyze the damage caused to your windshield and then diagnose whether your windshield requires repair or replacement. They will never recommend windshield replacement when a small repair job can mend the chips or cracks.Our technicians will perform the most efficient job to make your windshield absolutely safe to drive again. What’s more? our knowledgeable reps with directly coordinate with your insurance provider. So, there is absolutely nothing you have to do or pay when you call National Auto Glass for windshield repair. Call us today!